LSU London is separate to the University, although both work in partnership to ensure that the experience is great for all students. 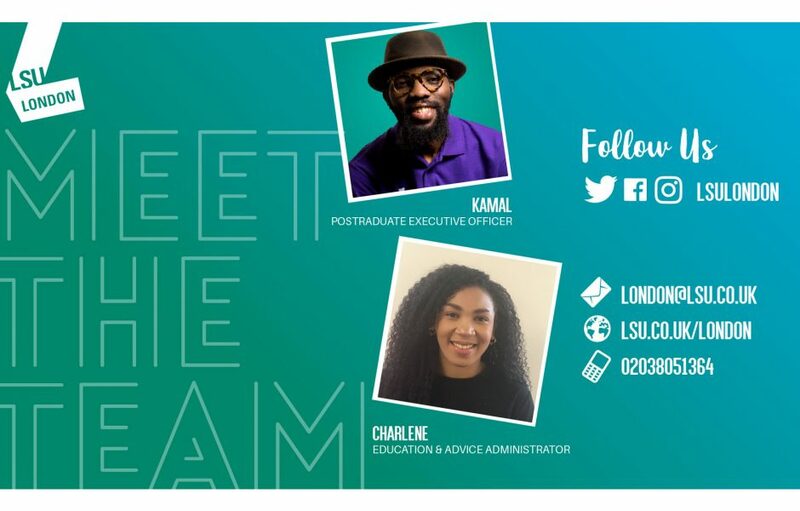 Charlene, our Education and Advice Administrator for LSU London, main focus is to proactively administer the Student Advice service, and co-ordinate the recruitment, training and support of student representatives. LSU London’s office hours are Monday-Friday, 10-1pm and 2-4pm. LSU London is located on the second floor of campus (turn left as you exit the lifts). If you are unable to visit the LSU London office during these times or would like to provide Charlene with your enquiry outside of these hours, please email voiceadvisorlondon@lboro.ac.uk. If you are interested in scheduling a one-to-one appointment, please ensure that you email an overview of your enquiry, any documents that are relevant and also your availability. You can find out more about LSU London and our Education and Advice Administrator, Charlene Alves on our webpages.